This entry was posted on September 30, 2016 at 2:15 pm and is filed under 2016 Giller Prize. You can follow any responses to this entry through the RSS 2.0 feed. You can skip to the end and leave a response. Pinging is currently not allowed. This is an intriguing review. Unitl you said ” the writing is gorgeous” I thought I could give it a pass. But beautiful writing is not so common, and so I’m going to get it tomorrow and have a go. Thank you for this. I think you’ll enjoy it Sheila. It’s a good read and will in all likelihood become a best seller. I’ll be interested to know whether you think it’s got prize winning potential. Great use of puns! 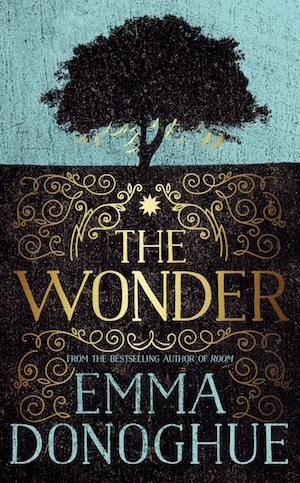 I think Emma Donoghue is a fantastic writer and the concept of this story is so interesting. I’m curious to see how the whole plot unfolds. And did you say that you were planning to read Margaret Atwood’s The Edible Woman next? 🙂 I’m glad you enjoyed this one. Although I really loved some of her earlier works, the later ones haven’t appealed quite so intensely. But I do think I’ll give this one a try all the same! Hahaha. Yes, must add that Atwood to the list!